KATHMANDU, 27 February – The government on 20 February recommended 14 names for the much-awaited ambassadorial positions, which were lying vacant for months in 14 missions abroad. This is a welcome move even though the decision in this regards should have been taken immediately after the positions were vacated. 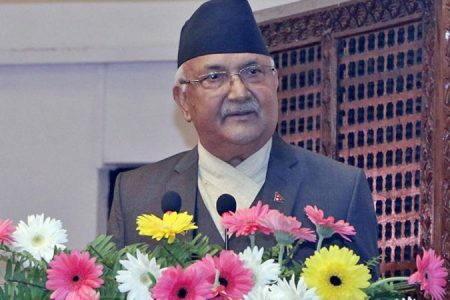 But dissatisfaction has surfaced within the ruling parties so much so that some leaders of Nepali Congress have openly criticized their president Sher Bahadur Deuba for defaming the party. Senior leader Ram Chandra Poudel and General Secretary Shashank Koirala have expressed their utter discontent alleging Deuba of monopolizing the party. They are in a plan to deal with Dueba with strength in the party. This is not our concern. 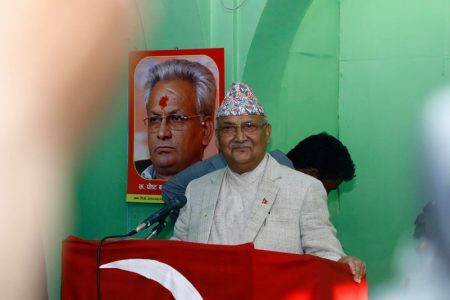 We are not much worried about the internal feud of Nepali Congress. But we are very much concerned about the recommended names since they are not going to represent their “masters” as Nepali diplomats, they are representing the government and the country. Out of the recommended 14 names, two are women- Asha Lama and Sharmila Parajuli. Government withdrew Lama following her controversial cases related to manpower business were made public. Other names in the list- Ramesh Koirala, Bhim Udas, Lucky Sherpa in particular- also leave a lot of questions unanswered. They need a thorough background check. Questions on their diplomatic qualification are several. 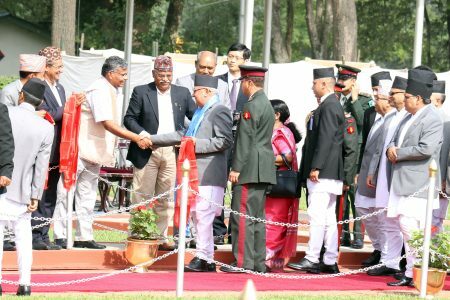 Two other names in the list- Prativa Rana -mother in law of NC President Sher Bahadur Deuba- and Bharat Rayamajhi- a close family relative of Kamal Thapa- have made to the plum posts out of sheer nepotistic connections. Only one person who has credible qualification to become an ambassador out of fourteen persons is Prof. Dr. Biswambhar Pyakurel, a noted economist. The serious question is what are the requirements to be an ambassador? Is there any criteria set to be appointed for the position that ideally represents the nation? The answer is of course – no. The line ministry – Ministry of Foreign Affairs – time and again has been making statements that there are certain qualifications that need to be fulfilled. What exactly are the qualifications? That has been never unveiled. Therefore the need of the time is to make public the qualifications and abilities of those, who aspire to be ambassadors. There is no problem for the career diplomats since the joint secretaries of MOFA are appointed ambassadors based on their seniority and other additional capabilities. Yet internal politics within MoFA sometimes have set the wrong precedence. KP Oli led government had appointed MoFA’s Joint secretaries as ambassadors to different countries in fair manner. But problems are more in political appointees. Political leaders have recommended the name of the aspirants not on the basis of their diplomatic knowledge and experiences. Some leaders have never risen above the individual interest. 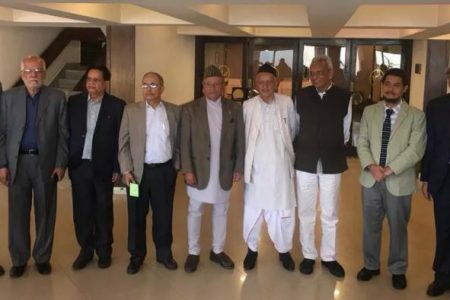 Congress President Deuba’s statement that party would not discuss and review the recommended names indicates his strong personal proximity and some financial deal with the appointees as reported in several media. The ruling parties must review and correct their mistakes. Removing the name of controversial lady is a welcome first step, but that alone will not suffice. There is a bigger correction to do- review the entire list.